In other words, an image can have a tremendous impact…much greater than writing. A photographer can capture an image that speaks in a universal language understood by everyone. Pretty hard for the written word to compete with that. To read more about Lewis Hine. This entry was posted in Blogging, Blogging Community and tagged #Stream of Consciousness Saturday on February 3, 2018 by Deborah Drucker. Child Labor is a stunning photo. I didn’t know the story of the photographer until I found the image. 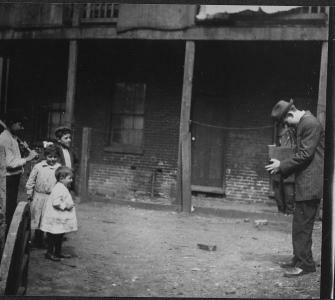 “Lewis Wickes Hine was an American sociologist and photographer. Hine used his camera as a tool for social reform. His photographs were instrumental in changing child labor laws in the United States.” Wikipedia I want to read more about him. Thank you, Dan. I love they way we grow through discovering stories we want to share. Gives me chills! Just the idea of a universal language. Thanks for sharing! I think some images do communicate to everyone. Thank you, J-Dub. Iconic images, all. I wish my words were that vivid and immediate!